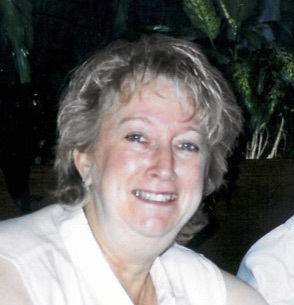 Gail Lynn Reynolds, 68, of Spring Bay, IL passed away peacefully at 8:15 a.m. on Saturday, February 9, 2019 at her home surrounded by her loving family. She was born on July 14, 1950, in Peoria, Illinois to William “Bill” C. and Elizabeth H. (Keller) Baker. She celebrated 50 years of marriage to the love of her life, Floyd “Buddy” Reynolds, with family in April, 2018. He continues to celebrate their love. Gail was happiest spending time with her family. Honoring her memory are their four daughters, Nikki (Trevor) Roe of East Peoria, Carrie Reynolds of East Peoria, Jill (Dan) Schoolman of East Peoria, and Kimberlee (Jeff) Henderson of Peoria; three sons-in-law that she adored; eight grandchildren that were the highlight of her life; three great-grandchildren that continued to warm her heart and two more on the way. Also surviving are two brothers, Eugene Baker of Michigan and Phillip Baker of Pekin. She celebrates in heaven with her parents and one brother, Robert Baker. Gail worked for many years in the service departments of Standard Heating & Cooling and Copy Products Corporation. She served her community as a volunteer firefighter, EMT, and CPR instructor. She was an avid Chicago Cubs and baseball fan. She and Buddy coached several girls’ summer softball teams before and through their daughters’ playing years. She actively supported and cheered all sports her daughters and grandchildren participated in. Gail was an expert quilter and seamstress with a knack for crocheting and knitting. Several dogs and cats that have given her companionship through the years have enjoyed the love she showered on them. Funeral Services will be held at 1:00 pm on Wednesday, February 13, 2019 at Mason Funeral Home Germantown Hills Chapel with Reverend Binu Peniel officiating. Visitation will be held at 11:00 am until time of her service on Wednesday at the funeral home. Burial will be in Swan Lake Memory Gardens in Peoria. In lieu of flowers memorials may be given to The ARK Humane Society, 477 State Route 26, Lacon, IL 61540. Online condolences at www.masonfuneralhomes.com.